A good example: It was only a few years ago that dCS’s Vivaldi digital stack -- wonderful gear by all accounts, but costing a total of $114,996 USD -- was lighting up the audiophile press and forums. 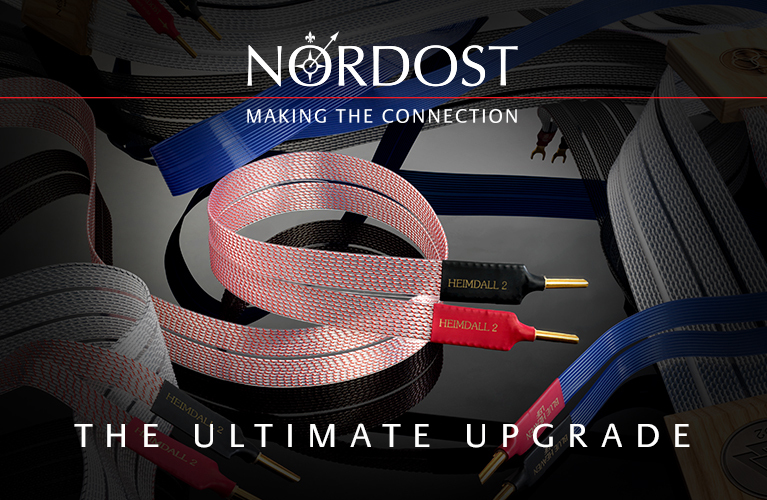 If you wanted the best digital sound, digital that rivaled state-of-the-art analog, you had to pony up and get the full stack of DAC, upsampler, master clock, and disc transport. Judging by the number of audiophiles on forums who seemed to own these stacks, dCS must have sold quite a few of them. Then the new products from MSB began making waves. The top of MSB’s line, the Select DAC, starts at $84,500; their Reference DAC, one model below it, goes for $39,500. Comparisons of dCS and MSB gear were inevitable. Some of the first MSB converts were either former owners of dCS Vivaldis, or had compared the sounds of the two products before buying -- the latter, of course, being precisely what you should do. From what I read on various forums, more often than not the MSB products came out on top. Statements such as “The dCS is really good, but the MSB, whoa” were typical. Imagine dropping over a hundred grand on a digital front end that you thought would remain the state of the art for a decade, only to realize, just a year later, that something else had topped it. 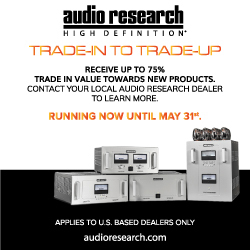 It’s easy to say, “If you’re happy with your purchase, why should what someone says on a forum about your gear matter?” But in the age of trophy hi-fi -- and make no mistake, these guys on the forums are talking about their investments for reasons other than sound -- having your pride and joy become yesterday’s news is a hard blow to take. 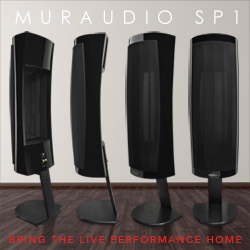 I’d rather spend more on speakers than on source components, because it’s been my experience that, all else being equal, speakers make the biggest difference in a system’s sound -- a difference anyone will immediately hear in his or her listening room. 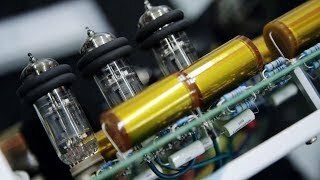 I’d also rather spend more money on an amplifier than a DAC, because it’s also been my experience that a great amp today will be a great amp tomorrow -- the discipline of power-amp design is mature and stable. In my audio-budget hierarchy, the digital front end comes third. 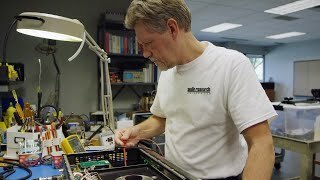 In “Jeff’s Getting a New Stereo System: Part Five,” I established an upper limit of $10,000 for a digital source component for my next stereo system. That article was published in December 2017, and nothing I’ve heard or seen since has changed my mind. Which brings me to the subject of this review: the Auralic Vega G2 streaming digital-to-analog converter-preamplifier. Although the Vega G2’s price ($5999) is right in line with my thoughts of what a great digital-to-analog converter should cost, that wasn’t what first attracted me. What immediately caught my eye were the Vega G2’s features, some of them rare even in DACs costing many times its price. Let’s start with clock accuracy, a high level of which must be present before a DAC can sound great. 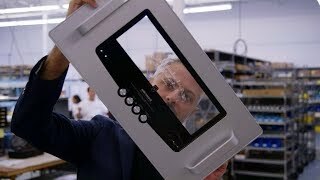 Auralic says the Vega G2 is equipped with dual Femto 72 clocks, with accuracy to “72 femtosecond cycles, or 72 quadrillionths of a second.” By comparison, MSB offers a Femto 93 clock option ($4950 at time of order) for their Premier DAC (base price $19,500). On paper, the Auralic’s clock is more accurate. The Vega G2 has two clocks because one is dedicated to 44.1kHz and its multiples, the other to 48kHz and its multiples -- another true high-end feature. Since I prefer to use my DAC as a digital preamplifier -- obviating the need for a conventional analog preamplifier -- the volume control is, to me, a critical element of the design. Auralic claims that their entirely passive R-2R resistor-ladder volume control is extremely quiet due to the fact that, once the level is set, the volume control draws zero current. 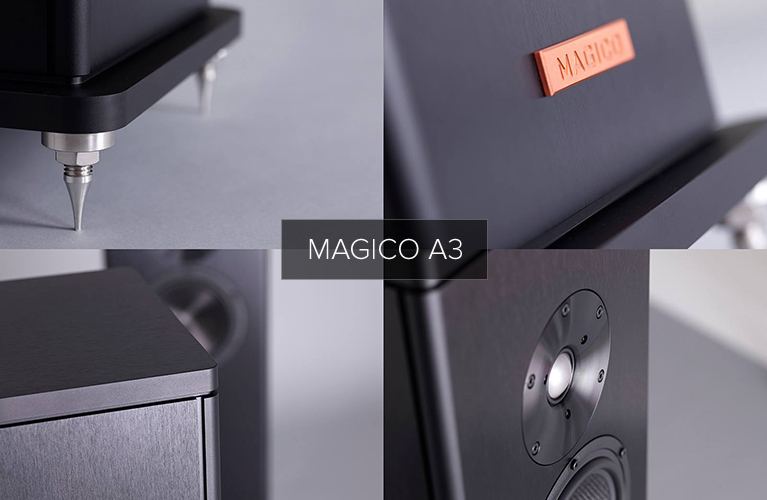 As for driving the amplifier, the Vega G2 includes Auralic’s Orfeo output module, which operates in class-A and is claimed to produce less than 0.001% distortion. Add galvanic isolation to cut down on electromagnetic interference (EMI), and you have what Auralic states is a DAC that’s 80% quieter than their original Vega. Another upscale feature is the Vega G2’s chassis and case -- in this instance they’re the same thing, machined from a single block of aluminum and measuring 13.4”W x 3.2"H x 12.6”D, weighing 17.2 pounds, and anodized black. It has a clean, sophisticated look. There are no visible fasteners on the front, top, or sides, because none are needed. As with Ayre Acoustics’ similarly built R-series components, the Vega G2’s bottom panel can be removed for servicing. In addition to improvements in cosmetics and structural rigidity, Auralic says that the Vega G2’s EMI shielding is better than in their older products with the more usual bolted-together cases. The digital inputs are what you’d expect: AES/EBU (XLR), coax (RCA), TosLink, USB, and Ethernet. Lightning Link, also included, makes possible bidirectional communication between all connected Auralic devices, for single-point control of a unified one-brand system. The Vega G2 will accept resolutions up to DSD512 and 32-bit/384kHz PCM (streaming, USB, and Lightning Link). The supported file formats are AAC, AIFF, ALAC, APE, DIFF, DSF, FLAC, MP3, MQA, OGG, WAV, WMA, and WV. The DAC chip is an ESS Technology Sabre that Auralic says has been “modified,” though they don’t specify the chip’s model or how it’s been changed. The Vega G2 also includes a quad-core A9 chip, which is the heart of Auralic’s Tesla processing platform, on which this product runs. The Vega G2 comes equipped with Auralic’s Lightning OS streaming platform, operated remotely by the Lightning DS control app for iOS devices. Once I’d installed it on my ancient iPhone 6, I found Lightning DS straightforward and intuitive to use. It was also rock-solid in operation, whether streaming Qobuz or, when I couldn’t figure out what I wanted to hear, Internet Radio. In addition to the aforementioned digital inputs, the Vega G2’s connections are thoughtful for so small a component. There’s one set of stereo analog inputs on RCA jacks, and two sets of analog outputs, one each on RCAs and XLRs. On the left side of the front panel are two 6.35mm headphone jacks, and at the center of the panel is a 4” full-color screen that displays the input selected, volume level, sampling rate, and other useful information including album art. And the Vega G2 is Roon Ready. I used the Vega G2 in two ways. First, I connected an Ethernet cable for network connectivity, and streamed Qobuz and Internet Radio with Lightning DS control. I also connected my Apple MacBook Pro via USB and used Roon to stream music from Qobuz and to play files from my music collection, stored on an external hard drive. The experience was terrific either way: no problems with handshake, dropouts, or glitches of any other kind. The Vega G2 is operated with the large knob on the right side of the front panel. In addition to providing volume control, this turn-and-push dial can be used to scroll through and select sources, and to make other adjustments. Select the System icon to access a wealth of adjustments. For example, the Vega G2 has four digital filters, selectable on the fly: Precise (best measured performance), Dynamic (gentler rolloff curves), Balance (slow rolloff to minimize pre-ringing), and Smooth (minimum phase, to prevent pre-ringing). I used the Smooth filter setting throughout the review. You can also select HT Bypass, adjust the channel balance and display brightness, and more. And when you highlight a setting parameter, a short description of what that setting is and does is displayed on the screen. Nice. After a couple weeks of using the Vega G2, I was completely comfortable with its operation. 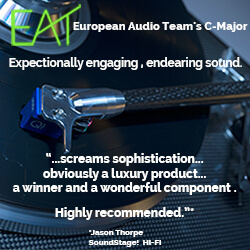 It was a joy to use -- in fact, of all the DACs I’ve used, it sets the standard for ease of use. I used the Auralic Vega G2 primarily with my new reference speakers, the Vimberg Tondas. I’ll soon have more to say about these wonderful reviewer tools from Germany, but suffice it to say they laid bare any differences I heard between the Vega G2 and a Hegel Music Systems HD30 DAC, which I’ve used as a reference for the better part of the past year. I also pressed into service my Boulder 2060 stereo amplifier, and it was a good thing I did. Although a Luxman L-509X integrated amplifier in for review, and the vintage Coda Model 11 stereo power amplifier that I often use, are both very quiet, neither can hold a candle to the Boulder’s absolute silence. The 2060 would prove useful in assessing just how quiet the Auralic actually was. I used my usual cable loom of Explorer models from Siltech. I immediately investigated Auralic’s claim of the Vega G2’s silence. I began by getting a baseline for just how quiet my own reference system is by powering up the Boulder 2060 alone. Pressing an ear to the tweeter of a Vimberg Tonda, I heard absolutely nothing. 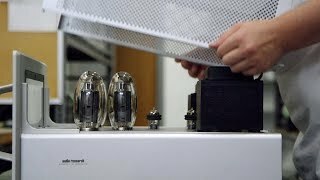 If you’ve ever heard -- uh, not heard -- a Devialet amplifier, then you know how silent a power amp can be. I couldn’t tell whether the Boulder was even turned on, whether listening to its electronic performance through the speakers’ tweeters, or to its mechanical performance by pressing an ear against the Boulder’s top panel. When I powered up the Auralic, I heard a very slight hiss -- but only when my ear was within half an inch of a Vimberg’s tweeter screen. When I raised the volume level, I did of course hear the Vega G2 adjusting its volume level, but once I’d stopped turning the dial, the Auralic settled back to its previous level of self-noise, or relative lack of it. In other words, once it was set, the volume setting didn’t affect the noise level at all. This is indeed a very quiet DAC, with an almost inaudible volume control. First up was the piano-only version of “Elastic Heart,” from Sia’s 1000 Forms of Fear (32/44.1 FLAC, Monkey Puzzle/RCA/Qobuz). The sound of the acoustic piano in the first few seconds was ideally balanced tonally, with a nice weight that gave it a density I could sink my ears into, a pristine sound unmarred by sonic artifacts of any kind. When Sia’s voice enters, the piano’s sound remained unchanged, her voice layered atop it and now taking center stage. The decay added to Sia’s voice as she repeats “I’ve got an elastic heart” at about 1:16, particularly as the last word trails off, was perfectly audible, more easily heard than I’m used to. The Vega G2 seemed to reveal every nuance of this acoustic performance, and helped me appreciate this Australian singer’s vocal prowess so much more than when I’d listened to the radio edit of this hit. Listening to other acoustic tracks, I concluded that the Auralic was ridiculously transparent to the source. In fact, it was the quietest DAC I’d had in my system in quite some time. The acoustic version of Simon & Garfunkel’s “The Sound of Silence,” from their debut album, Wednesday Morning, 3AM (32/96 FLAC, Columbia/Qobuz), was so very revealing of the Auralic’s capabilities. First, the duo’s harmonizing was super enjoyable, indicating that the Auralic could just get out of the way and reproduce the music. But I could just as easily and just as enjoyably dig into details of the sound. For example, I could easily focus on Simon’s or Garfunkel’s voice independently, or I could enjoy the way the two created a single harmony, or I could listen intently to Simon’s guitar. The Vega G2, paired with the Boulder and Vimbergs, revealed everything that was there to hear. I don’t remember ever having felt that I was hearing deeper into a recording than I did with this combination of gear. I was beyond impressed. As much as I could enjoy rock or pop through the Auralic Vega G2, listening to much of my usual fare wasn’t instructive as far as this review was concerned. Oh, it played all such music exceptionally well, but it didn’t distance itself from the pack with, for instance, Imagine Dragons. One popular track that did teach me some things about the Vega G2’s sound was “Guiding Light,” from Mumford & Sons’ Delta (32/48 FLAC, Gentleman of the Road/Glassnote/Island/Qobuz). In the opening seconds, Marcus Mumford counts “un, two, three,” which should be audible through any decent system. What I heard through the Auralic-Boulder-Vimberg rig, however, was the precise distance of Mumford’s mouth from his vocal mike, and the volume at which he mutters the count-off, as compared to when he starts singing. The Vega G2 dug deep into this track, letting me dissect every nuance. I also gained some insight into the hi-rez version of “Trust,” from Christina Perri’s Head or Heart (32/96 FLAC, Atlantic/Qobuz). The first 15 seconds of this track, just before Perri begins singing, feature the sound of wind -- a sound that can be somewhat obscured by systems that lack stellar resolution, in which case the volume must be turned up pretty loud to fully hear the wind. Through the Auralic Vega G2 I clearly heard the wind at volume levels lower than before, I think because the noise floor of the system was virtually nonexistent. Low, late-night listening levels in no way obscured any detail I wanted to hear. The image of Perri as she sang this song was locked in tight and rock-steady, dead center on the soundstage. At the same time, at about 1:35 into the track, when the backing vocals enter, the soundstage expanded far beyond the edges and above the tops of the speakers, to create a huge and complete soundstage. It was the best I’d ever heard this track. In short, the Auralic Vega G2 was all about resolution. It revealed nuances in recordings that other DACs easily obscure. 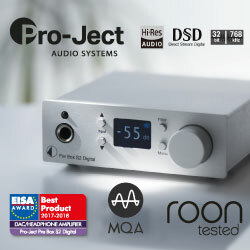 In this way it was very similar to the AVM Ovation SD 6.2 preamplifier-DAC-streamer ($9990), which I reviewed in December 2018. I listened again to “From Cousteau’s Point of View,” from Florian Weber’s Lucent Waters (16/44.1 FLAC, ECM/Tidal), a track I’d drilled down into deeply with the AVM. In my review of that DAC, I’d focused on Nasheet Waits’s cymbal work about 15 seconds in: “even at very low volume levels, I was able to hear every tiny cymbal stroke and its decay, as if I were sitting right in front of Waits.” Although the Auralic costs four grand less than the AVM, it edged out the pricier DAC in transparency. Now, listening again to this track multiple times, I could hear every detail, every nuance -- everything. This was exceptional sound quality from a product that not only costs a lot less than its German counterpart, but competes well with it in terms of features and build quality. 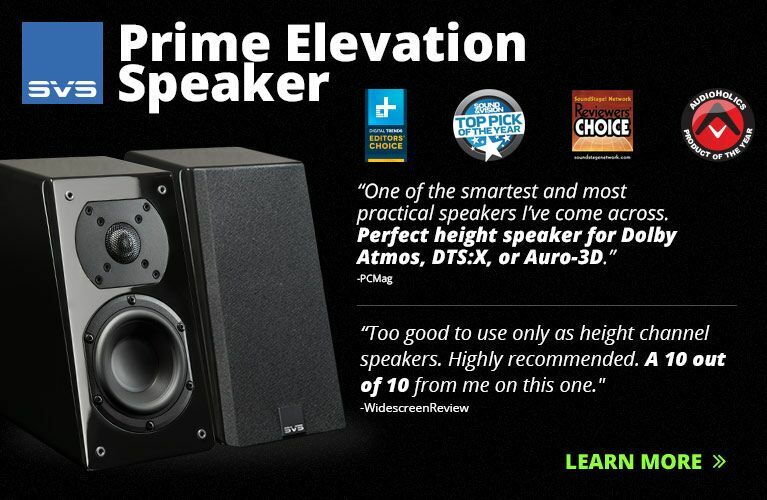 By comparison, the Auralic is an exceptional bargain. I’ve been supercareful in assembling the latest iteration of my reference audio system, buying only products that I have great confidence in. The Boulder 2060 stereo power amplifier and the Vimberg Tonda floorstanding speakers make an amazing combination, one that I know competes so far above the money I’ve invested in them that I know I’m in rarified air, particularly in terms of resolution of sound. As of right now, the Auralic Vega G2 is the prime suspect in my search for a DAC to anchor my new reference system. 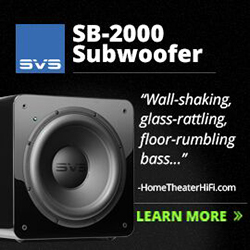 I was amazed that a DAC that retails for only $5999 could pair with these products and hold up its end of the bargain. Although I want to hear a few more DACs before deciding on a purchase, I’ll be surprised if I hear better sound for anywhere near this price. The Vega G2 offers a lot. It’s full featured, has a great app for streaming over my network with smartphone control, and mated well with my MacBook Pro via USB when I listened to my collection of stored music files. 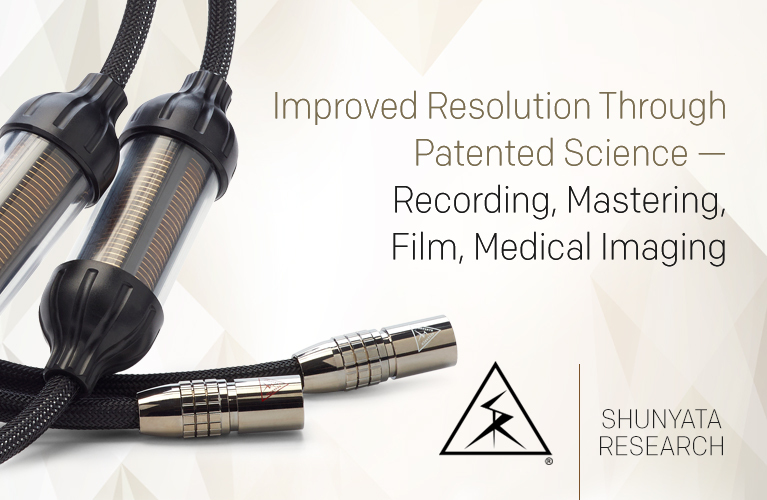 When products such as this add complexity through advanced features, there’s often a letdown in one area or another in terms of ease of use. Not this time: the Vega G2 was a joy to use, and rock-solid in operation. Better still, its sound quality was consistently stellar. And it was extremely resolving, with a transparent volume control that will let you hear deep into your favorite music when the Vega G2 is directly connected to your power amplifier. You can insert an Auralic Vega G2 in your audio system and be confident that you’re hearing everything on your recordings -- as long as the rest of your system is up to the task. It’s not this DAC that will be the limiting factor, I can assure you. You might not impress the guys on the forums who are constantly comparing their six-figure digital rigs, but the thrill you’ll experience when listening to your music will more than make up for that. Warranty: Three years parts and labor (with registration).